Skip over the ditch to relish in some seriously good food and drink. With its cool climate, vast stretches of coastline and lush, open spaces, New Zealand is a dream destination for foodies and wine lovers. 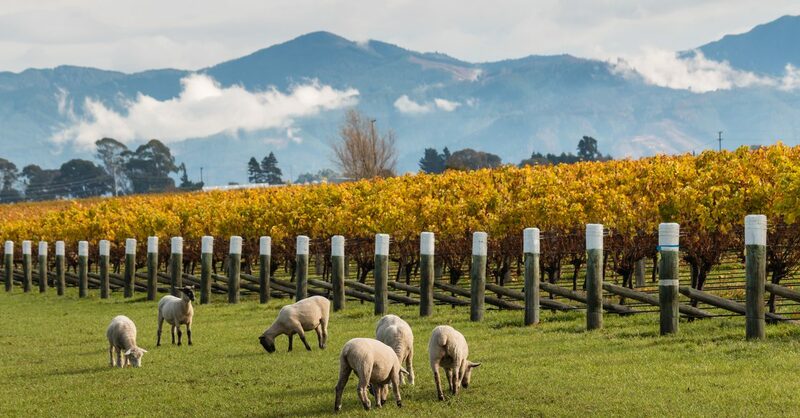 Vineyards stretch throughout the regions, local seafood is celebrated with annual festivals and the abundant green, rolling hills are perfect for rearing succulent, tender New Zealand lamb. While there are plenty of ways to experience all that New Zealand has to offer, a dedicated trip sampling the wonderful produce, regional specialties and world-renowned wines will more than fill your days. Mix it up with some spectacular seaside drives, hikes and boat trips, and you may just never want to leave. At the head of the Pelorus Sound on the top of the South Island lies the historic coastal village of Havelock. Dubbed the 'green-lipped mussel capital of the world', this is the place to try these local delicacies only found growing naturally in New Zealand waters. Iconic restaurant The Mussel Pot is famed for its tasty molluscs and offers diners plenty of serving options including grilled, steamed, on tasting plates and in rich chowders. Each March the Havelock Mussel Festival celebrates all things green-lipped mussels while showcasing a variety of regional produce, local wines, entertainment and a crowd favourite - the mussel opening Guinness Book of Records attempt. This year Angela Fredericks of Kono smashed the 2007 record, opening 100 mussels in 1 minute 59 seconds. Get practising and try your luck at next year's festival on Saturday 14 March. While in the area, dip into the local wineries of the Marlborough region, give some snapper fishing a whirl and cruise through the peaceful Marlborough Sounds soaking up the magnificent setting. Affectionately known as the 'pearl of the south', Bluff is a European settlement at the southern tip of New Zealand's South Island. Another one for seafood lovers, this salty seaside town is renowned worldwide for its oysters, in season from April to August and honoured at the annual Bluff Oyster and Food Festival, taking place this year on 24 May. The sumptuous local oyster is the star of the show, but local seafood including crayfish, abalone, salmon, blue cod and whitebait will also be there for the sampling. Make sure you rug up as wild winds whip through the town, and leave plenty of room to feast on venison, lamb or kiwi sausage washed down with some great southern ales. Outside of festival weekend, Fowlers Oysters on your left as you drive into town is the spot to pick up a fresh dozen, best enjoyed with a crisp New Zealand white. Have the kiwi equivalent of a Sideways adventure on this signposted, self-drive tour of the country's main wine growing regions. Journeying from Hawkes Bay in the north down to Marlborough in the south, or vice versa, the trip covers around 380km and is best tackled over at least four days. Hawke's Bay is one of New Zealand's warmest, driest regions, making it ideal for producing cabernet sauvignon, merlot and syrah wines. Take in the sweeping beaches that stretch along the North Island coastline, tour the beautiful Art Deco city of Napier and visit local farmers' markets to pick up some goodies for the road trip. Heading south, an hour north of Wellington is Wairarapa and the town of Martinborough. This is pinot noir region and a great opportunity to pop into some vineyards to sample their world class offerings. If you're feeling less adventurous, the Martinborough Wine Centre in town offers tastings of a variety of local wines under the one roof and you can ship anything back home. Back on the road, make a stop in the picturesque town of Wellington, bursting with good restaurants and bars, and hop on the ferry over to Picton where Marlborough country and the home of sauvignon blanc awaits. A good cheese rounds off any gourmet experience and New Zealand certainly isn't short of options. From Barry's Bay, a beautifully situated hand-crafted cheese company on the highway south of Christchurch, to Mahoe Cheese's farm shop, a family-run business up north in the Bay of Islands, drop in for a cheese tasting and a chat with these local artisans passionate about all things curds and whey.